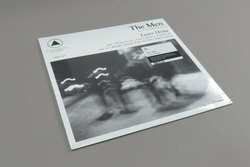 The Men - Leave Home. Vinyl LP. Bleep. Six years on from its drop via Sacred Bones, The Men’s second album remains as bracing a listen as ever. There are few opening tracks as simultaneously expansive and visceral as ‘If You Leave…’, the slink from John Cale-style noise music to blown-out hyper-psyche still a proper thrill. The likes of ‘Lotus’, ‘Bataille’ and ‘Think’ remain superbly invigorating, and the manner in which the guitars threaten to break free of the speakers makes a lot of other punk seem puny by comparison. TY Segall, Black Flag, Bikini Kill, Preoccupations - they’re all in there, but the sheer power of Leave Home is something else entirely.